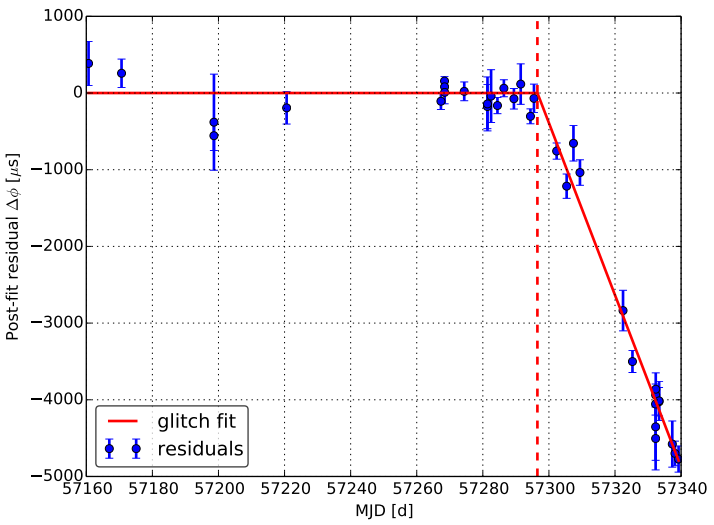 PhD student Fabian Jankowski has found another glitch in a pulsar J1740-3015 using UTMOST. Glitches can be likened to “star quakes”, and may involve changes in the surface matter, or the internal structure. These cause a sudden change in the spin period of the pulsar, and is a science driver at UTMOST. Daily monitoring of hundreds of pulsars puts us in a position to discover dozens of pulsar glitches each year. The glitch has been announced as a Astronomer’s Telegram.